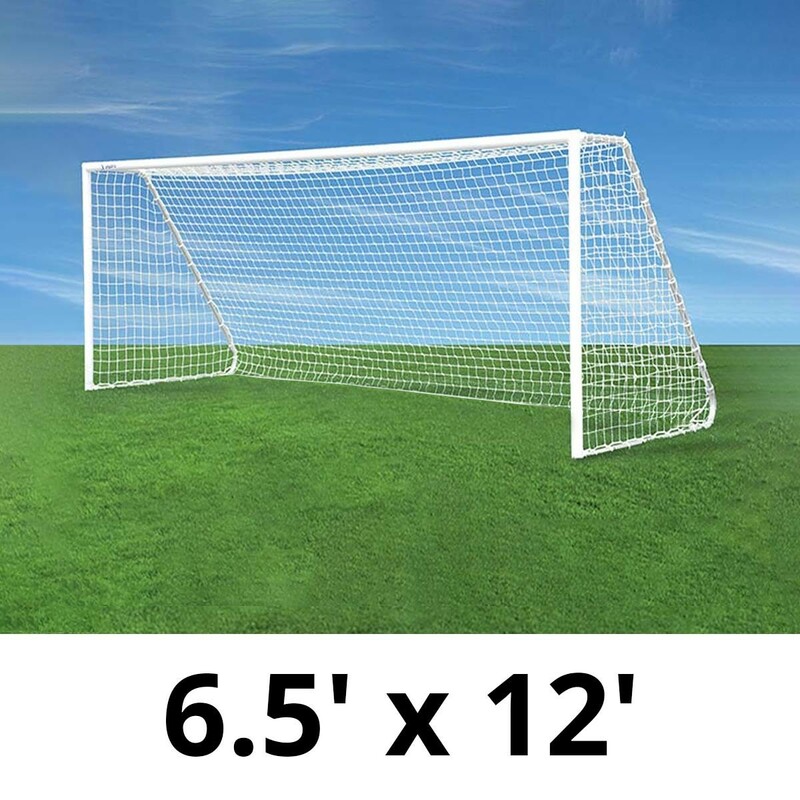 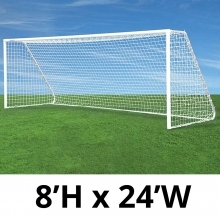 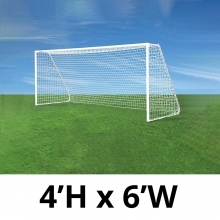 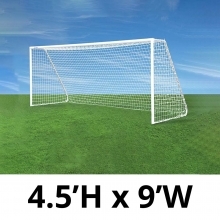 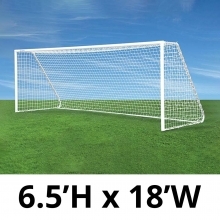 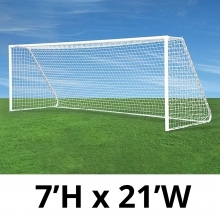 This pair of Jaypro CC12S 6.5’ x 12’ Classic Club Soccer Goals are built with 3” all-aluminum round front frames that are lightweight and durable. 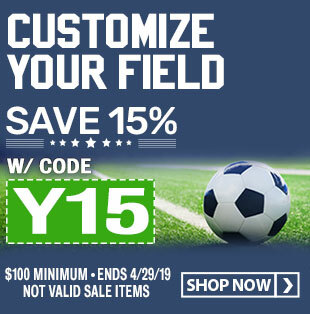 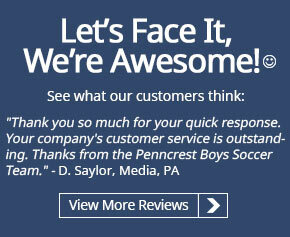 The Classic Club Soccer Goal series feature Jaypro’s Easy Track net attachment system which uses durable plastic clips that fit securely into the net track to prevent the net from slipping. 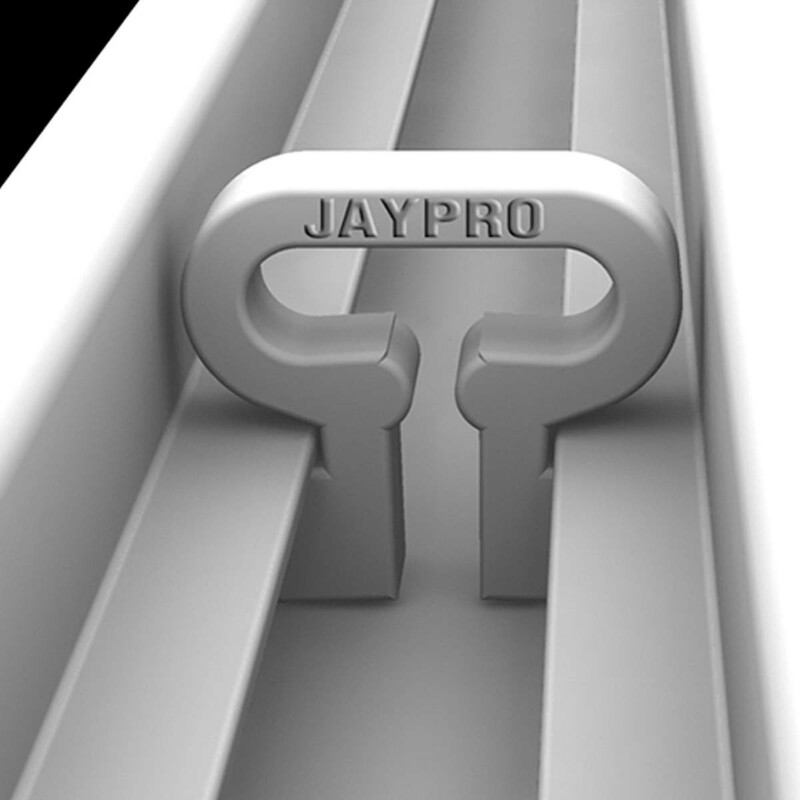 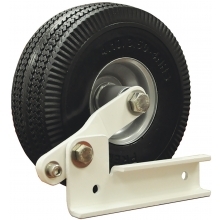 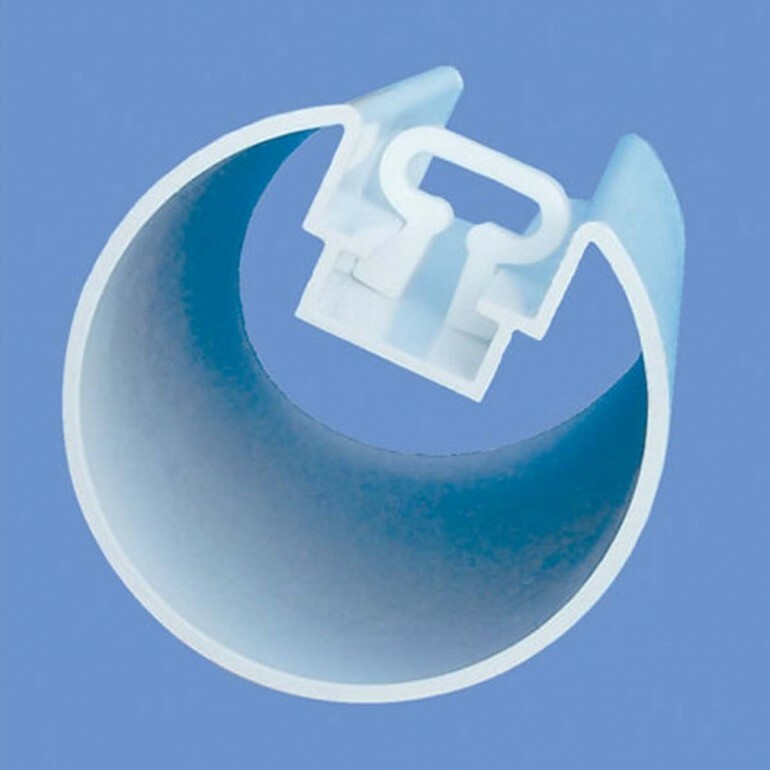 The clips fit securely and flush into the Easy Track so there are no protruding clips to hit or dislodge aluminum uprights.